When you need transmission repair, the last thing you want to happen is to get ripped off. Transmission work is already expensive enough, and if you get ripped off, it’s even worse. Some shops might charge you more than fair market value, others might charge you for work that wasn’t even completed on your vehicle, and others might charge you a low price but give you such a low-quality repair that you’re back in the shop much sooner than necessary. However, this doesn’t have to be the case. Use these tips from our transmission shop in Northville to protect yourself from scams. 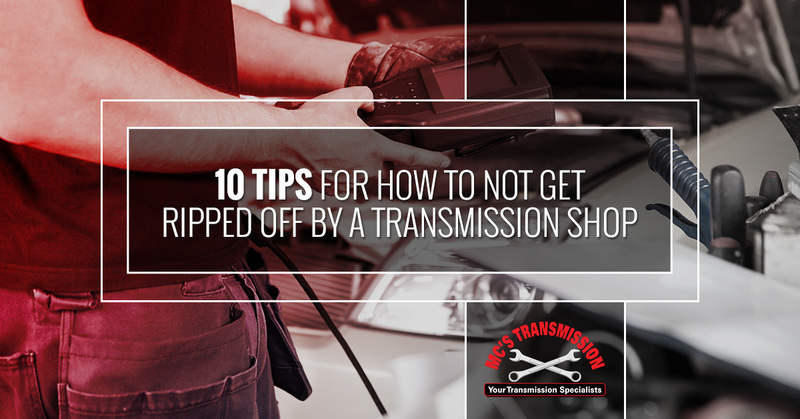 You don’t have to be a transmission expert to protect yourself from common transmission scams. We’d recommend two tactics. First, just knowing what scams are out there can go a long way towards making sure you steer clear of them. Second, knowing some questions to ask and techniques to employ can help you to avoid the most frequent ripoffs. While there are myriad ways that a transmission shop could rip you off, here are some of the most common ones you’ll find. A transmission shop gives you a very low initial quote in order to secure your business. However, after they take your car apart, they “discover” multiple other issues that cost you far more money than you initially expected to pay. A shop simply lies to you about the service you’ll receive, the amount you should expect to pay, or the time they expect it to take to complete the job. A transmission mechanic convinces you that you need a rebuilt transmission when you actually only need a minor repair. The shop sells you work that they never did. It’s hard to verify what was done on a transmission, and a shop could tell you that they did work that was never performed. The shop tells you they can’t even give you a quote unless they take your car apart. Once it’s taken apart, you’re pretty much stuck with whatever price they tell you, because towing your car to another shop at that point is generally prohibitive. In order to avoid getting ripped off in your transmission service or repair, here are some things we’d advise customers to try. Get a second (or third) opinion. If you would do this with your doctor, you owe it to yourself to do it with your vehicle, too. Don’t fall for the trick that in order to get a quote, a transmission mechanic has to take your car apart. Simply decline to go that route and take your business elsewhere. If the quote seems low, ask for the “worst case scenario” price. It could be that an honest shop is being accurate with you about the price you need to pay for a detailed repair, and a dishonest shop is just telling you what you want to hear in order to get your business. Find out about the experience of the employees, whether they are transmission specialists or general mechanics, and how much time they have spent in the industry. Look at the reviews and the reputation of the shop. MC’s Transmission is proud to offer honest, reputable transmission service to Northville, Farmington, Livonia, and the surrounding communities. Call us for a quote today.